Stephen Donnelly has submitted a detailed proposal on how he thinks Ireland can shut down vulture fund tax avoidance. INDEPENDENT TD STEPHEN Donnelly has said large accounting and legal firms have told their vulture fund clients how to get around the Section 110 amendment, which was recently introduced by Finance Minister Michael Noonan to tackle tax avoidance. 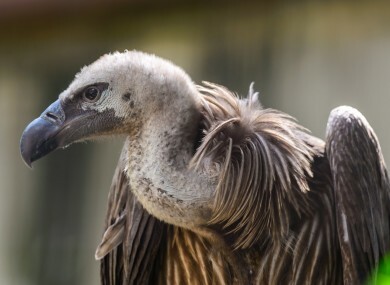 The government moved last month to close a ‘loophole’ within Irish tax law, known as the Section 110 ruling, which allowed vulture funds to buy up mortgages here but pay no tax having registered as a company with charitable status. However, Donnelly told TheJournal.ie that within 24 hours of the loophole closure, accountancy and legal firms were explaining to their clients “how to get around it”. This week, the new Oireachtas Budgetry Oversight Committee criticised the new changes introduced by the minister, saying it will not have an impact. In its latest report the committee said the loophole closure still allows the assets to be marked to current market value and it only applies to property. “Vulture funds will continue to use arm’s length loan notes which can be set against profits made,” states the report. Chairman of the committee John Paul Phelan stated the operation of vulture funds, who have bought up distressed assets from banks here in Ireland, are “a cause for concern as they are paying little or no tax on the profits and capital gains being made from their activities here”. Speaking the TheJournal.ie, Donnelly said while Minister Noonan’s amendment is welcome, as it stands, it won’t work. “The accountancy firms are always going to be ahead,” said Donnelly. Several important changes are needed, or the €20 billion in future taxes could still find its way out of Ireland. The sums involved are enormous, so it’s critical we get this right. The Wicklow TD has sent a policy proposal to Minister Noonan and hopes to meet with his officials in the coming days. “Step one. Shut it down for vulture funds and those avoiding paying taxes in the domestic economy. To put it in to context for the taxpayer, Donnelly said the €20 billion in future taxes could build the equivalent of 40 National Children’s Hospitals, end the scourge of child poverty in Ireland and pay for the new national fibre optic network… 20 times over. “It could reduce primary school class sizes from 28 to the EU average of 20…for the next 50 years. It could end the housing crisis by building 130,000 new homes,” he added. The detailed submission made to the minister includes six proposals to shut down tax avoidance in the domestic economy, said Donnelly. These include removing Section 110 status for all economic activity in the domestic economy and requiring all vulture funds (and Irish zero-tax vehicles) to get prior Revenue approval. Donnelly said all Irish tax-free type vehicles should have to publish their accounts and he also called for the creation of an ongoing Oireachtas oversight of tax avoidance committee. The Wicklow TD said “ongoing surveillance” of vulture funds and the loopholes being used is needed. The changes can be included in the Finance Bill in next week’s Budget, said Donnelly, who added that the “funds are nervous” about what government might propose. Email “'Accounting firms are telling vulture funds how to get around tax loophole closure'”. Feedback on “'Accounting firms are telling vulture funds how to get around tax loophole closure'”.